Are you looking for full-range sound that's crisp and powerful? Sound that's immersive and dynamic? 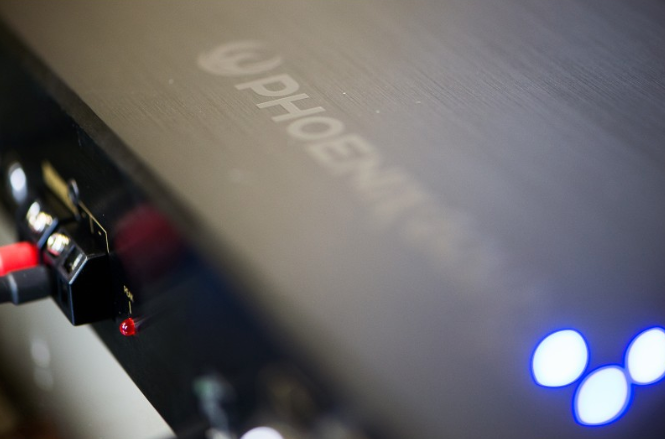 Then it's time to take a look at the SX2 1200.1 Monoblock Amp from Phoenix Gold. There are a lot of reasons this amp makes sense in your system. Here are just the top 3. There's more to your system than your subwoofer. So of course you want an amp that can drive it all. That's where the SX2 1200.1 Monoblock comes in. It's master/slave strappable to handle your massive power set-ups, including when you're working with multiple amps. Plus with built-in Auto Turn-on you can connect it to any OEM system that doesn’t have a remote turn-on lead with no worries about activating your amp in addition to Balanced inputs to take that OEM signal directly into the amplifier with no additional interface needed. If you're looking for precision, you've got it, thanks to the variable filters on every channel. A low pass crossover range of 40 to 240 Hz rocks the lower bass range, while a 10 to 120Hz subsonic crossover range optimizes your subwoofer while getting rid of ultra-low frequencies that rob your system of efficiency. Full-range capability means you can drive high-power, full-range speakers with ease. Maybe you want tower speakers in your boat, but you need more power than your current system is putting out. Plug an SX2 1200.1 Monoblock Amp in, and sit back in amazement at the amount of power that rushes into those speakers. If you're looking for outstanding channel separation in your competition system, the SX2 1200.1 has you covered as well. Run one on your left side, one on your right, and sit back to marvel at the sonic experience. And what if you've got a full Pro Audio set-up in your vehicle, with full-range drivers in each door? These SX2 Monoblocks are ideal to power all that sound, so you're surrounded with power and music everywhere you go. You know that distortion that happens when your music peaks or movie sound effects go for broke? Yeah, we don't like it either. Now you can say good-bye to peak distortion forever, thanks to the dynamic headroom built in to the SX2 1200.1 amp. With its unregulated power supply, your amp drives low 1ohm impedance loads and provides the dynamic headroom you demand.to react beautifully to any program material you can throw at it. And even if you're pumping your volume at 11 as part of the design that creates this consistent performance, the Monoblock features Onboard Thermal Management. OTM monitors internal temperatures and adjusts power so that your amp continues to deliver top performance with no interruption or distortion. And even if you're pumping your volume at 11, the SX2's Bass Shift® adjusts both the phase and subwoofer to enhance dynamics, bass response and impact for the legendary sound you demand.